Dependable Impact Resistance for Permanent Protection. 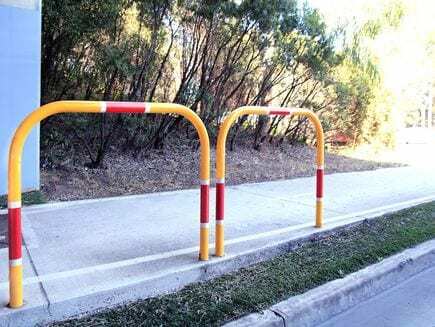 Cast in bollards are the natural choice of parking barrier for when you need permanent protection for your property and safe passage for people. 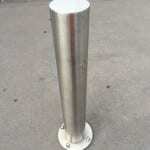 Our cast in bollards meet the highest standards of quality to guarantee the utmost property protection and pedestrian control. 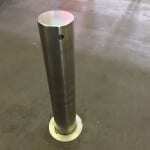 Like our whole range of bollard products, these cast in bollards are hot dip galvanised prior to powder coating, creating the perfect permanent security solution. 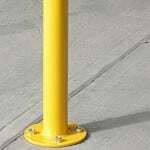 Guaranteed durable, highly visible and pedestrian-friendly, these cast in bollards have become common parking barrier installations in many business establishments and public areas where robust security barriers are required. Metal Fencing Specialists have more than 35 years of experience in professional design and installation of parking barriers, guardrails and security fences. The security of your property is our priority. 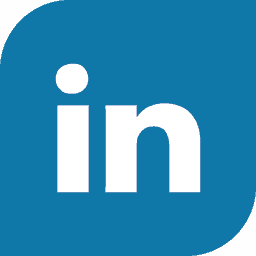 This is evident in the way we select the components and the design, as well as in the delivery and installation of our security products. 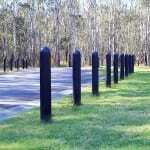 For high quality cast in bollards, parking barrier systems and other security solutions, contact Metal Fencing Specialists or call us on 1300 904 284.